If your marijuana use in college has transitioned into regular use of cocaine, or if the prescription pain medication you took after your ACL surgery is now more like a vitamin, you need help. You are not sure when casual pill popping turned into a full-blown addiction, but our drug rehab in Pennsylvania wants to help you get your life back on track. Why do so many people abuse drugs? How did this happen to you? Our Pennsylvania drug treatment center is here to help you understand why. The first step to understanding drug abuse is learning what causes it. There are various reasons why someone would turn to drugs and alcohol. Some are trying to escape their lives while others are dealing with physical, mental and emotional pain. 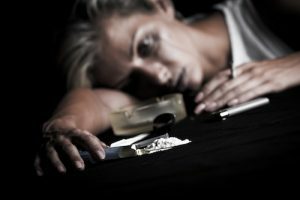 Drugs may start out as a recreational habit before the addiction develops. Understanding addiction and how it works will help you get to the root of your problems. Whatever the case may be, addiction is considered a chronic brain disease that causes a person to compulsively use the drug. The drug interacts with the reward system of the brain and gives you a temporary high by flooding your system with various neurotransmitters, such as dopamine. As the brain changes with consistent drug abuse, the addiction takes over. It is nearly impossible for someone to resist these intense urges without the help of a proper treatment program like at our inpatient detox center in Pennsylvania. Drug abuse can also result in criminal or financial issues. At Clearbrook Treatment Centers, we know that overcoming your addiction is difficult, but with proper treatment, any drug addict can live a happy and healthy life free from addiction. Whether you are looking for a meth detox center or heroin addiction rehab, our treatment center can help you get the care you need to overcome your disease. Understanding drug abuse and how it works is an important step in the recovery process. You will go through various programs and therapies to help get on the path to a sober life. If you believe that you or a loved one is suffering from drug abuse, it’s time to find help. Contact us today to learn more.